It’s hard to believe, but the end of 2017 is just around the corner and it’s time to start making arrangements for the 2018 tax season. We accept new clients on a first come, first serve basis. Even though we would love to help everyone that needs it, we must limit the number of new clients we accept in order to guarantee that we can finish their tax returns before the April 15th filing deadline. 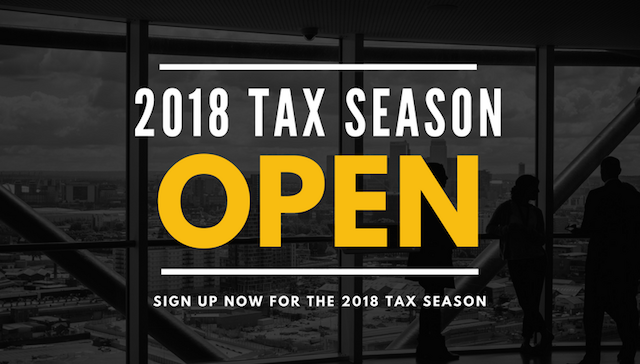 If you’re interested in having our office prepare your 2017 tax returns, sign up now using the link below to save your spot. We require a $500 retainer from new clients, which is applied to the cost of your tax preparation. The retainer is fully refundable until January 15, 2018 if you should change your mind. Here’s the link to pay and sign up. We’ve been preparing tax returns with cryptocurrency related income since 2013 and have one of the most experiences practices in the country. We assist clients in all 50 states and can help you no matter how simple or complex your situation. If you have any additional questions about our tax preparation services, please don’t hesitate to contact us at any time. UPDATE 1/3/2018: Now that tax season has officially started, please CLICK HERE to sign up as a new client.